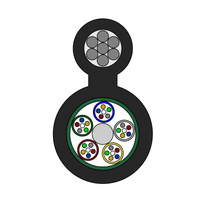 Figure 8 Self-Supporting Outdoor Fiber Optic Cables-GYTC8A Buy Product on ZION COMMUNICATION To be the primary provider of the products and services in the field of signal transmission all over the world! 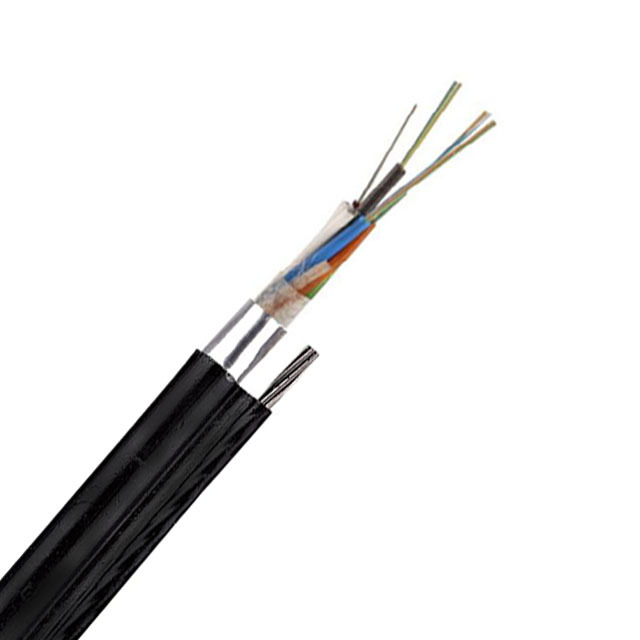 The ﬁbers, 250μm, are positioned in a loose tube made of a high modulus plastic. The tubes are ﬁlled with a water-resistant ﬁlling compound. 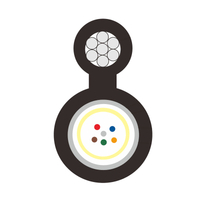 A steel wire locates in the center of core as a metallic strength member. The tube(and ﬁllers) are stranded around the strength member into a compact and circular cable core. 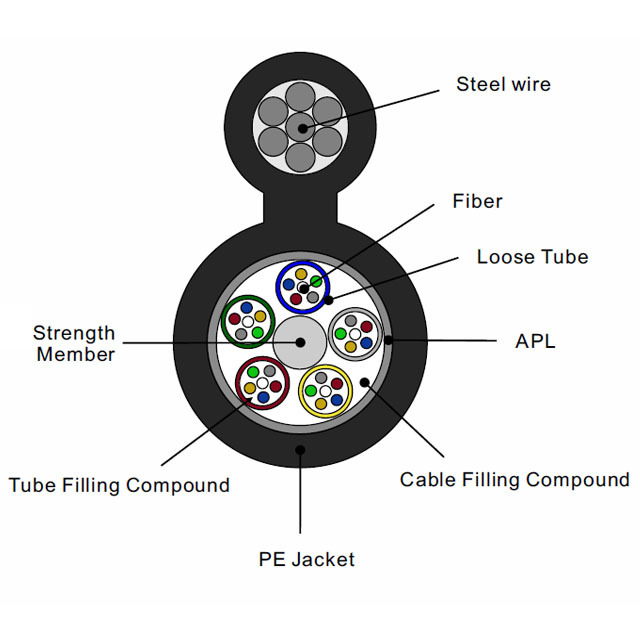 After an Aluminum Polyethylene Laminate(APL) moisture battier is applied around the cable core, this part of cable accompanied with the stranded wires as the supporting part are completed with a polyethylene(PE) sheath to be ﬁgure 8 structure. 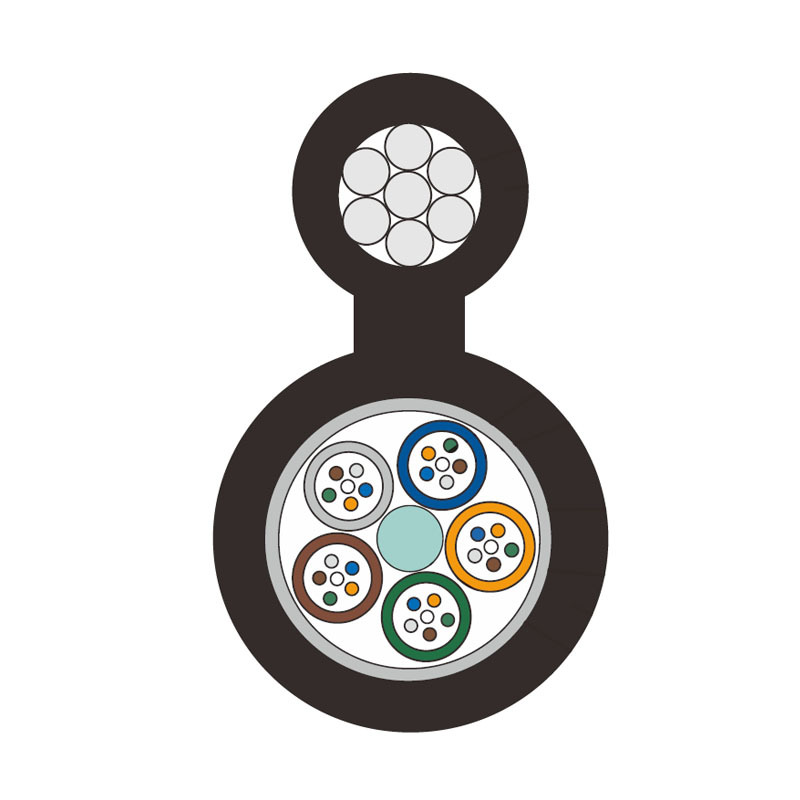 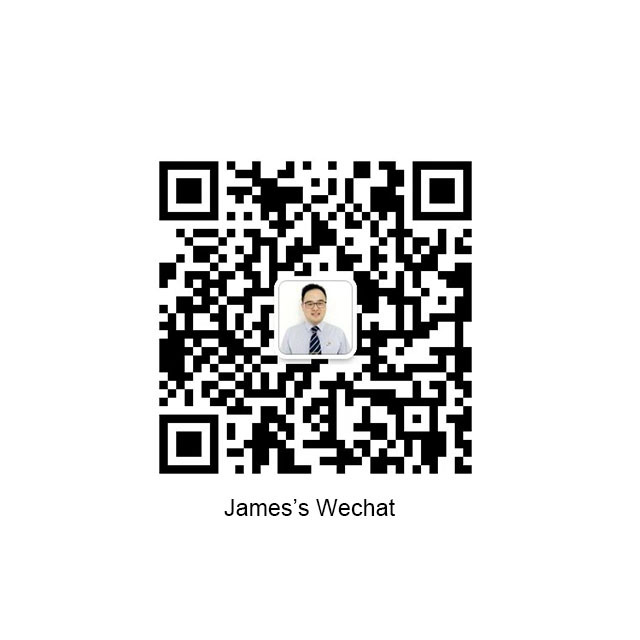 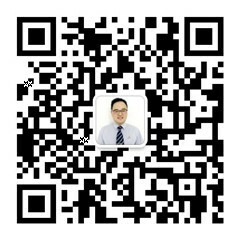 ﬁgure 8 cable GYTC8Y, GYTC8Y are also available on request.